How quick switch between frames? I open 4 frames. How I can quick switch between them? And now try to quick switch between frames. It very hard. Ace-windows show me 6 numbers (1,2,3,3,4,5,6). And how I select quick desire frames? It's hard. I use switch-window. When switching windows, it labels each window with a key and then prompts for which one you want. There are several options, but I prefer to use the home row for the labels. You can use (setq switch-window-multiple-frames t) to have it span multiple frames. icicle-select-frame is an interactive compiled Lisp function in icicles-cmd1.el. It is bound to C-x 5 o. Select frame by its name and raise it. A frame name in this context is suffixed as needed by [NUMBER], to make it unique. For example, in a context where frames are named for their buffers and you have two frames showing buffer *Help*, one of the frames will be called *Help* for use with this command. Read input, then call icicle-select-frame-by-name to act on it. When candidate action and cycling are combined (e.g. C-next), user option icicle-act-before-cycle-flag determines which occurs first. With prefix C-M- instead of C-, the same keys (C-M-mouse-2, C-M-RET, C-M-down, and so on) provide help about candidates. Use mouse-2, RET, or S-RET to finally choose a candidate, or C-g to quit. This is an Icicles command - see command icicle-mode. An even handier command is icicle-other-window-or-frame, bound to C-x o by default. It combines several commands for selecting windows or frames. 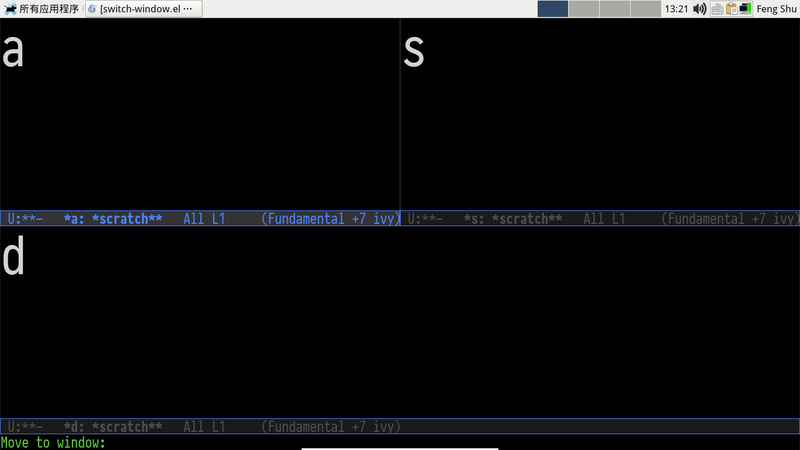 icicle-other-window-or-frame is an interactive compiled Lisp function in icicles-cmd1.el. It is bound to C-x o. Select a window or frame, by name or by order. This command combines Emacs commands other-window and other-frame, together with Icicles commands icicle-select-window, icicle-select-frame, and icicle-choose-window-for-buffer-display. With no prefix arg or a non-zero numeric prefix arg: If the selected frame has multiple windows, then this is other-window. Otherwise, it is other-frame. With a zero prefix arg (e.g. C-0): If the selected frame has multiple windows, then this is icicle-select-window with windows in the frame as candidates. Otherwise (single-window frame), this is icicle-select-frame. 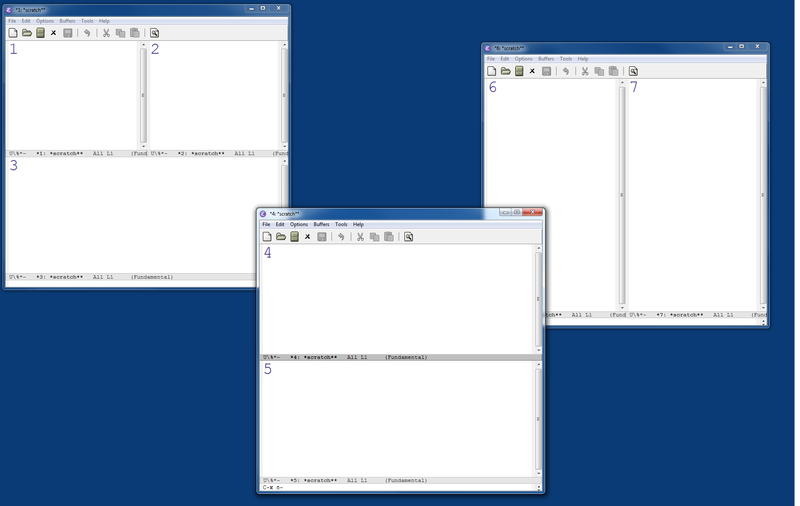 With plain C-u: If the selected frame has multiple windows, then this is icicle-select-window with windows from all visible frames as candidates. Otherwise, this is icicle-select-frame. With plain C-u C-u: Same as icicle-select-window with a negative prefix arg: Select a window from any frame, including iconified and invisible frames. With plain C-u C-u C-u: This is icicle-choose-window-for-buffer-display, with windows from all frames (i.e., iconified and invisible) frames as candidates. If you use library oneonone.el with a standalone minibuffer frame, and if option 1on1-remap-other-frame-command-flag is non-nil, then frame selection can include the standalone minibuffer frame. By default, Icicle mode remaps all key sequences that are normally bound to other-window to icicle-other-window-or-frame. If you do not want this remapping, then customize option icicle-top-level-key-bindings. How can I rotate window configurations among frames? How can I switch to the most recent frame with other-frame? Open a frame for emacs instance via terminal? ace-window: How can I switch to a frame I can't see?